This is a multi-layer embroidery. 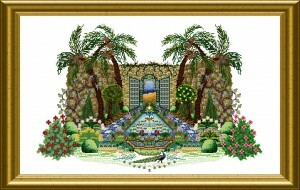 You start with normal cross stitches, then add layers of Special Stitches, backstitching, beads and crystals. 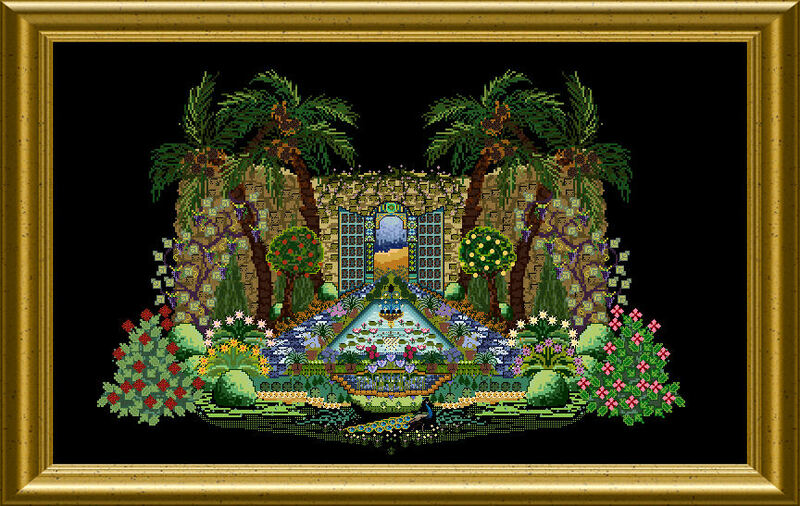 All on all adds up to a very dimensional and tactile picture of an Oasis inmidst the desert, rich with water and hence with fruit and flowers…. A wonderful assortment of various threads, different materials , beads and crystals will let your mouth water !